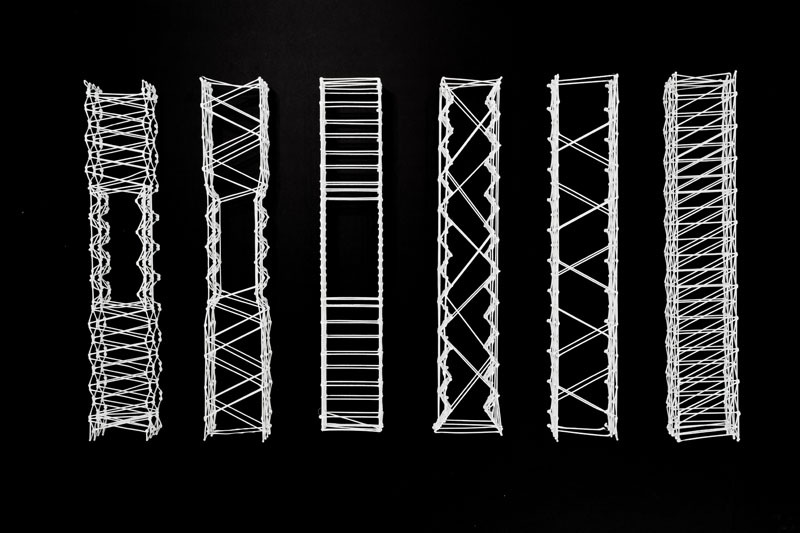 The research project Mesh Mould addresses the 1:1 construction aspects of robotically fabricated loadbearing structures. 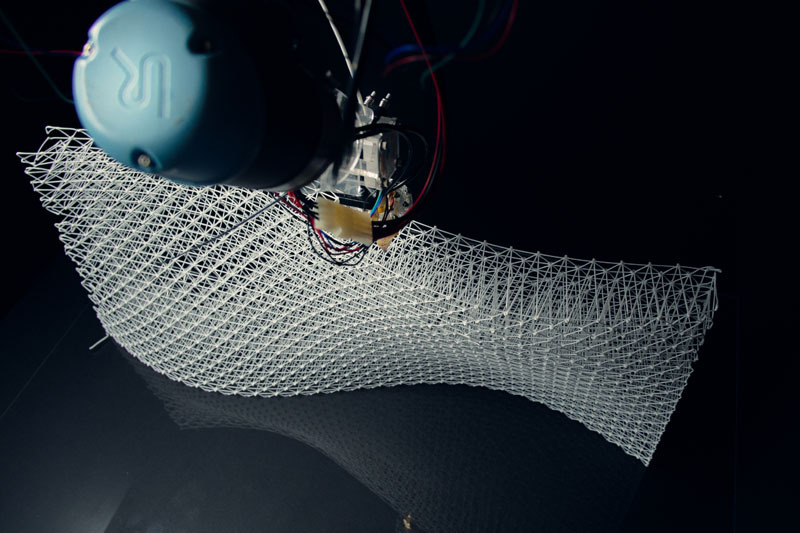 Considering the use of standard industrial robots with its limited payload capacities, however with a high capacity for precise spatial coordination, an optimal use of the machine requires construction processes with minimal mass transfer and a high degree of geometric definition. Subsequently the fabrication of formwork for material efficient, thus geometric complex concrete elements constitutes the focus of this investigation. 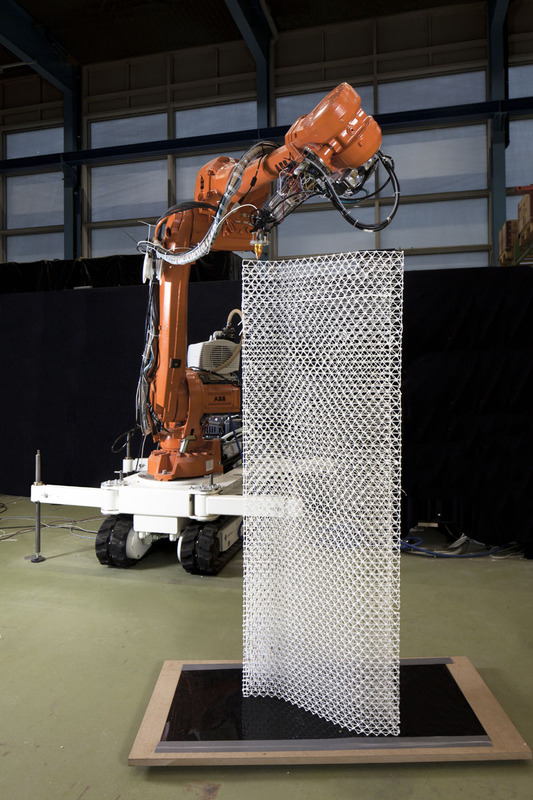 Mesh-Mould combines formwork and reinforcement into one single robotically fabricated construction system. 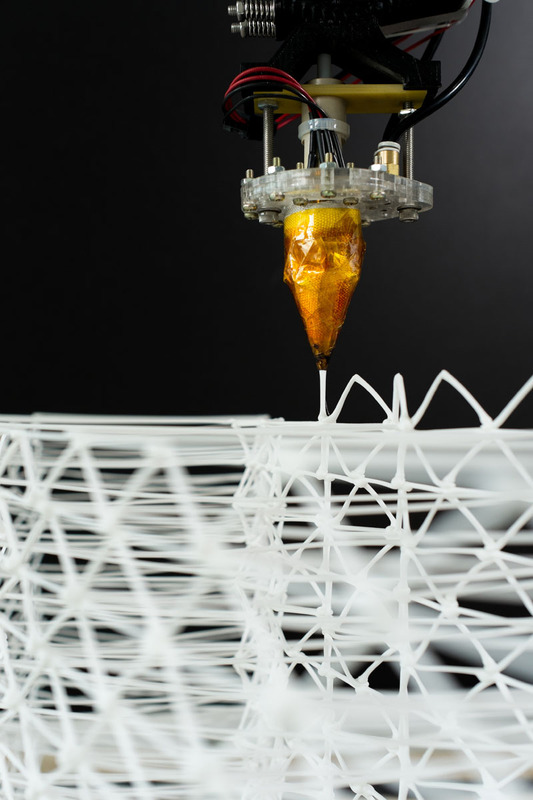 The project (Patent Publication No. WO/2015/034438) is conducted in close collaboration with Sika Technology AG as an industry partner and expert in cementitious materials. 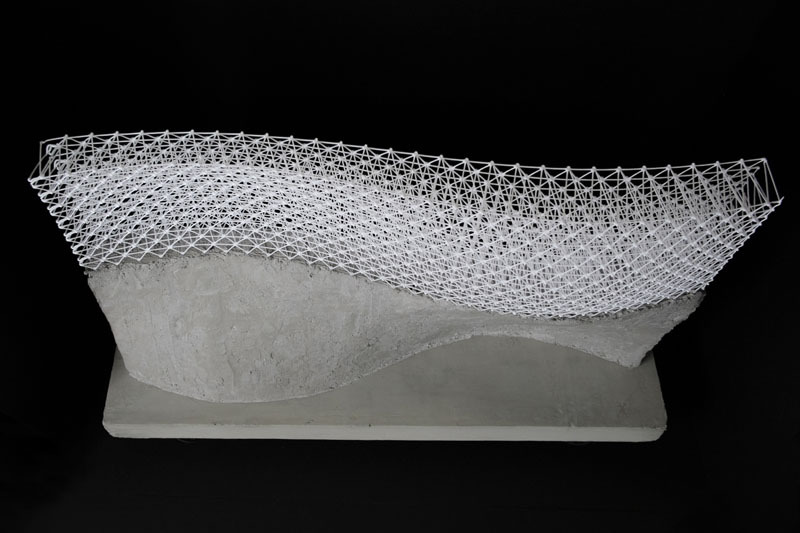 Mesh Mould is also embedded into the National Competence Centre in Research (NCCR) Digital Fabrication.